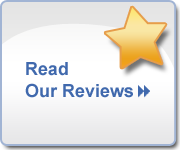 Welcome to Advanced Health Chiropractic, your friendliest Kansas City Chiropractic Office. We specialize in the latest Chiropractic techniques and therapy to help back, neck and extremity pains. Chiropractors have a wide scope in their knowledge of the back and neck. Chiropractic treatment offers you hands-on, result given treatments which can help alleviate pain in your back, neck, and other areas. Chiropractic treatments do not include surgery or medications, which means you will be offered alternatives which are non-invasive, hands-on and effective. What can you expect from a visit to Advanced Health Chiropractic? First one of our doctors will begin with a thorough examination and will assess your areas of concern, as well as carefully considering your past and current health history. Only after this initial examination will they offer a recommended course of treatment. Based on the analysis of your initial examination, your treatment could consist of Chiropractic adjustments, therapies, and rehabilitation. There are many aspects to the chiropractic practice and all that it entails. Please continue to look through our web site to familiarize yourself with our services. You will see that not only do we provide great care but that we care about you and your health. 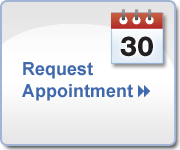 Contact us if you have any questions by calling 816.453.1198 or emailing us at info@advancedhealthchiro.com. You call also enroll in our free spinal care classes by clicking here.